very good condition. every thing working. no problem. 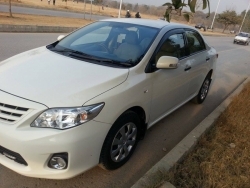 immaculate condition,single hand driven,total genuine condition,body complete skreatch less,beach interior,only 6000 thousand + kilometers driven,brand brand new condition,its a brand new car,only serious buyers should call,excuse from dealers and bargainers. 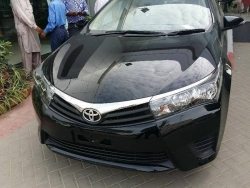 Brand new unused 2014 model of Toyota corolla. Car Model:2014 Gli manual transmission Car is 0 KM driven. Colour of the car is Attitude Black. Looking for serious buyers only. Mint condition. Honest dealership. Family car. Well managed. No damage. No accidents. Contact for queries. Well maintained. 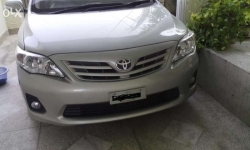 We are moving abroad and selling all our household including cars. 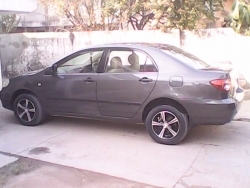 My Limited Edition Corolla GLI is in immaculate condition and maintained throughout at Toyota Islamabad Motors. It is self owned / self driven. 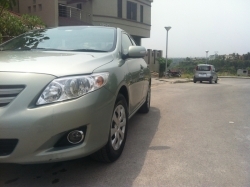 It has F/F in-dash DVD/Multimedia/Navigation/Bluetooth system with wooden interior and matching door handles colour. 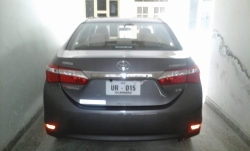 It is insured through TDI (Trakker Direct Insurance) - traker is installed. 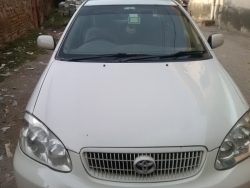 1.3 GLi 2011 Toyota Corolla, Petrol 90,000kms mileage, power windows/mirrors, wooden panels, LCD/DVD + 2 rare LCD's. 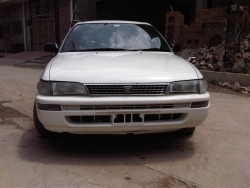 Selling my GLI on urgent basis, Home driven, immaculate engine condition, maintained from Toyota rawal. 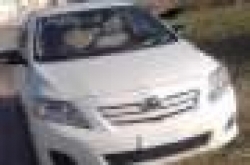 Vechle is very good and it is family car for very care.